The 7th Annual M2Moms Conference just wrapped up in Chicago, and I am sitting here trying to digest all the breaking news from the conference. So while it is top of mind, I thought I would share some of the mental SWAG from the week. 1. Forty-four percent of Millennial Moms think marriage is obsolete. It seems that marriage is no longer considered a societal role imposed upon women, but rather a choice they make. Some 41% of all births are now to unwed mothers, and that number rises to 51% when considering just Millennial Moms. This is a trend that will have long-lasting repercussions in our society. (Rose Cameron, Euro RSCG Chicago, Parenting by Millennials). 3. Musings on the usage of iPads by children: “A magazine is an app that does not work for a one year old.” Probably the best quote of the conference. Rose Cameron showed a fun video of a one year old who kept punching a magazine photo trying to get it to do something. This was proof that children today are growing up with a totally different adaptation to technology, not to mention babysitting. Maybe these little digital natives are Steve Jobs most lasting legacy. 4. The Era of Gender Surrender. I have never heard more research catch phrases and twisted trend terms in my life, but this is one that rings true. Parenting roles are being redefined, and 33% of dads are taking on the roles of traditional moms. The shared responsibilities and Stay At Home Dads are a target audience for marketers to consider. And the poster child of this new Dad is the fictitious Daniel Lee of Google Chrome advertising. As you might expect, a side note to this is more women are feeling responsibility for the finances of the household. (Missy Maher and Jennifer Babbit Bodner, Edelman, Modern Family). 5. Grandmothers are Second Parents. Several of the presenters talked about those active, vital grandparents and the huge influence these grandparents are making on the lives of their grandchildren, and on purchase decisions for those children. These very vibrant and well-healed Boomers are large in the lives of their grandchildren, with some 75% of Boomer grandparents involved in the raising of their grandchildren, and using that disposable income on Junior. Conversely, marketers have somehow totally ignored the purchase power of grandparents. Just as important as their debit card, Boomer Moms also have the strongest bonds with their Millennial Daughters. 6. Smartphone has allowed Moms to work at home, at the playground and in carpools. This robust new era of work at home Moms who are professional bloggers, entrepreneurs and freelancers owe their new freedom to their supportive be-all-you-can-be upbringing and their ability to conduct business anywhere with a smartphone. Guess that’s a second legacy piece for Steve Jobs. 9. Two-thirds of moms trust reviews of those they have never met. The Recommendation Culture Rules. Moms are becoming less brand loyal and more review loyal. Moms are likely to switch brands if friends love it and recommend it, and the brand will help them save money. Thanks for the M2Moms wrap up Jamie. I’m so glad that you were there and look forward to seeing you at M2Moms … The (8th Annual) Marketing to Moms Conference, http://www.m2moms.com, October 23 & 24, 2012 … Save the Date!!! Thanks for sharing these facts! I do find the idea that the smartphone has allowed us to work everywhere both liberating and constraining. We *can* work everywhere and we often do. It bothers me though whether we should. I thought she did a great job and your presentation was a standout as well! I have quoted that cellphone figure to friends and clients alike! Thanks for your great input. 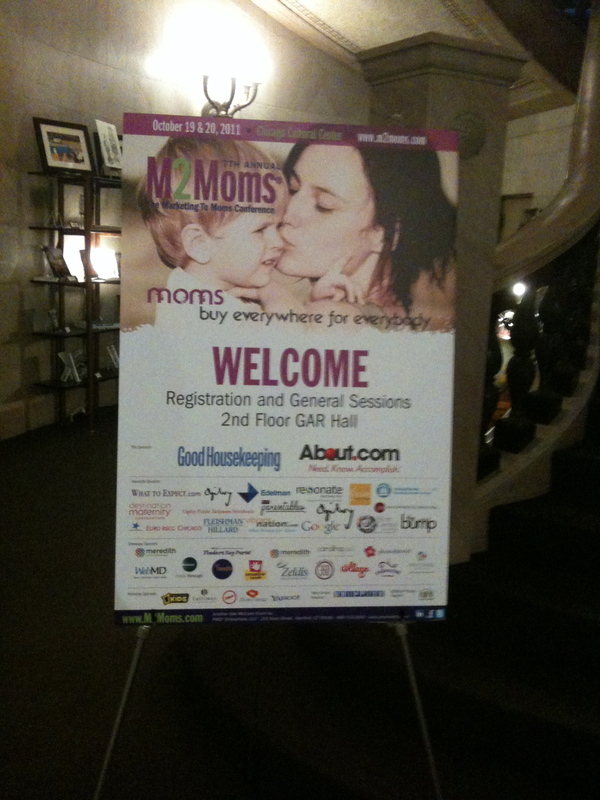 You are currently reading Marketing to Moms: 12 Outrageous Facts I Learned at M2Moms at The Lipstick Economy.